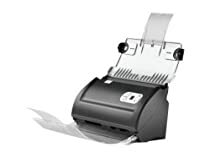 Ambir ImageScan Pro 820i - Sheetfed scanner - Duplex - Legal - 600 dpi - ADF ( 50 sheets ) - USB 2.0. The Ambir ImageScan Pro 820i duplex ADF scanner captures documents at up to 20 pages per minute in full-color, grayscale or black-and-white. Used in small businesses, clinics and hospitals across the country, the ImageScan Pro 820i is a cost-effective way to scan medical records, case files or bills quickly. The ImageScan Pro 820i comes bundled with AmbirScan ADF scanning software, which includes the Button Manager. You can scan directly to email, to a printer or into an EMR or content management system with just one press of the button. Or set scanning profiles for different document types in a few clicks.